Every year peacocks shed their feathers? A peacock reaches maturity at three years old. At the end of every mating season the male peacocks shed their feathers. This can happen very quickly with a mature peacock losing all it’s tail feathers within a week. However other peacocks will not loose their tail until September, with a few stubborn tail feathers clinging on for months. The peacock has around 150 to 175 long tail feathers or long covers which sit over shorter strong tail feathers. These shorter feathers support the weight of the long tail covers which grow to three to four feet long. As the peacock matures to five or six years old, the peacocks tail feathers grow in size and the number. As the peafowl reaches maturity the eyes on the tail feathers become larger. At maturity the peacocks tail will be constant each year as long as the peacock is in good health. If several males are kept together we have found that the subservient males will not grow or develop a tail as striking or large as the dominant peacock. If these birds are removed from the pen with the dominant male the upper tail feathers then develop! After the peacocks long tail covers have moulted the new tail begins to grow in the autumn, reaching maturity in time for the next mating season in the spring. Once the peafowl tail has moulted the peacock is no longer fertile. During the breeding season, keeping a two year old peacock with the peahens could extend the fertile breeding season. 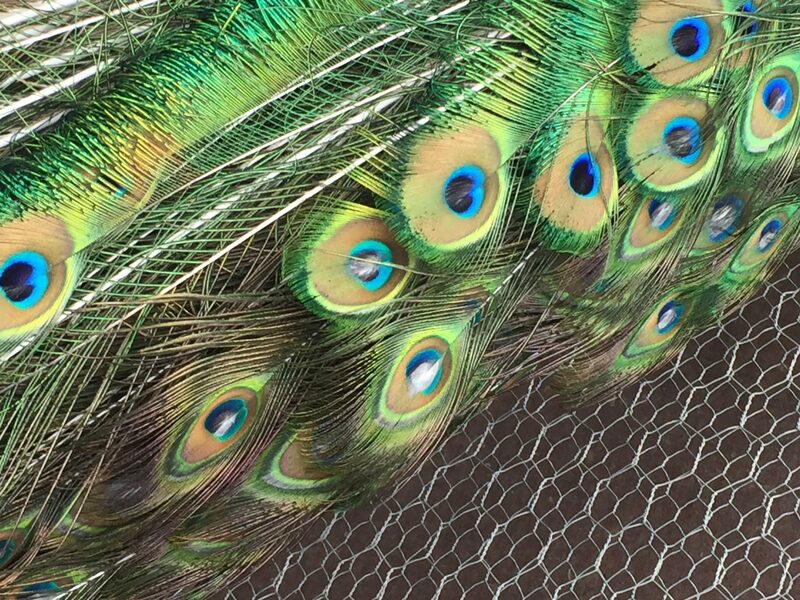 This is because two year old peacocks do not shed their tail feathers at the end of the peafowl breeding season. This means the two year old peacock may stay fertile at the end of the season when the older male has lost its tail.